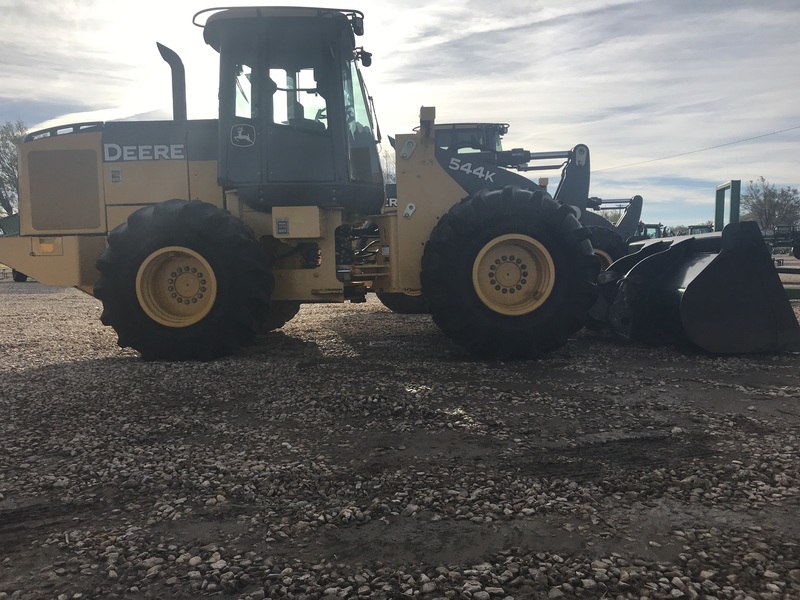 TR60B, 60 INCH TRENCHER. 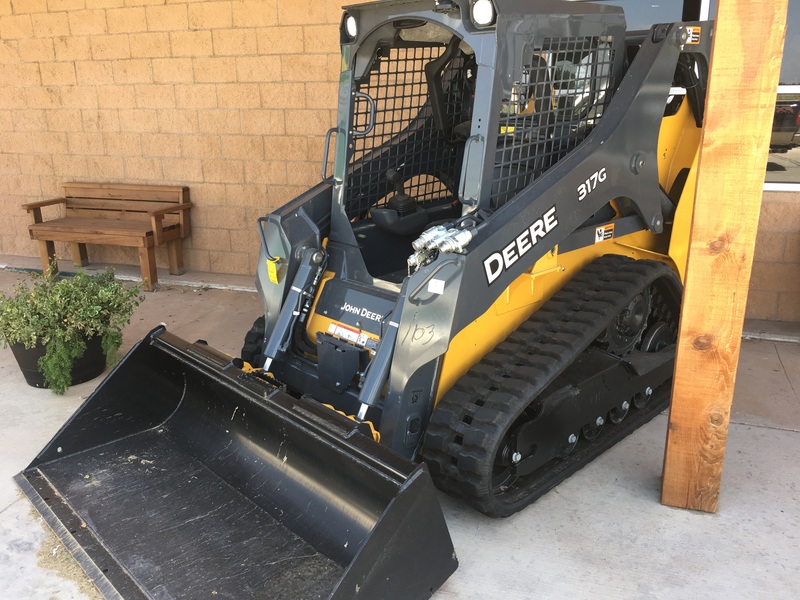 SKID STEER MOUNT. 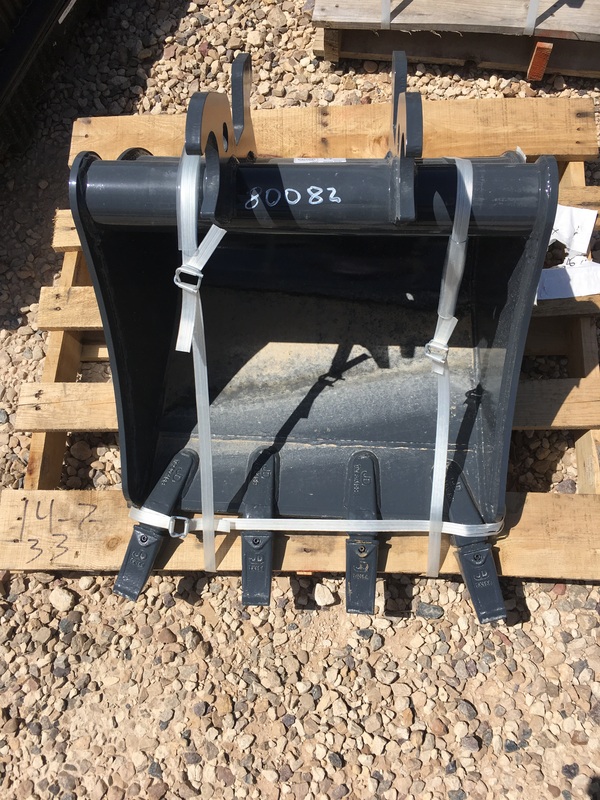 26G COMPACT EXCAVATOR, ROPS CANOPY STANDARD, 12 IN. HEAVY DUTY 1.5 CU. 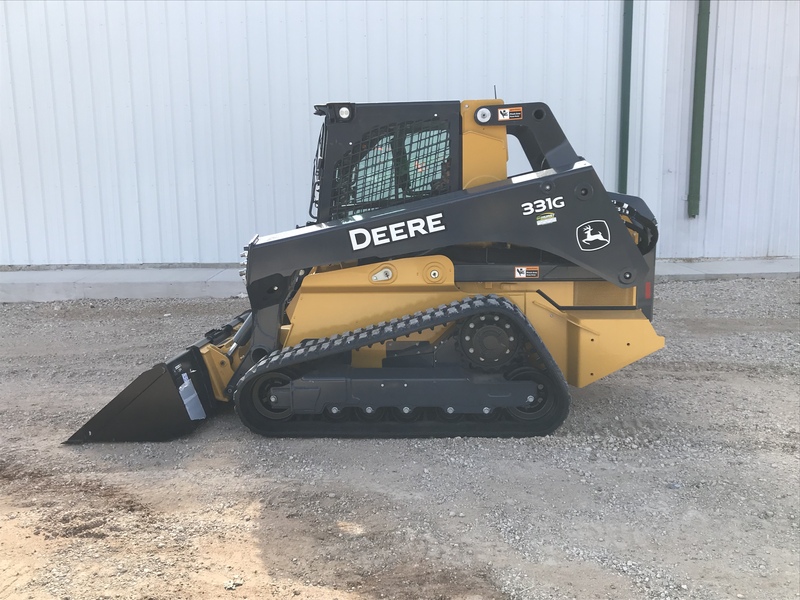 FT. BUCKET, "COUNTY RESTRICTIONS APPLY TO PRICE"
30G COMPACT EXCAVATOR, 300MM RUBBER TRACK, SUSPENSION SEAT/VINYL, 3 FT. 10 IN. (1.7M) STANDARD ARM, CANOPY, 18 IN. 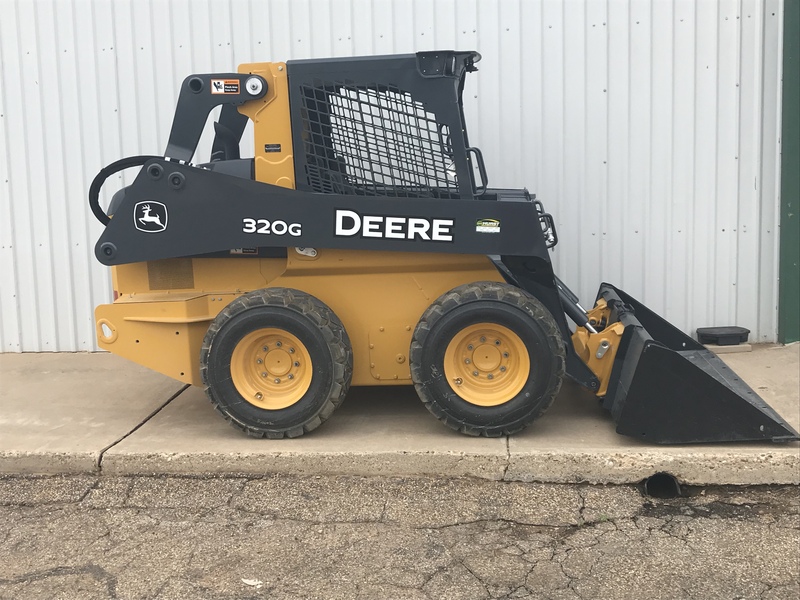 HEAVY DUTY 2.3 CU. 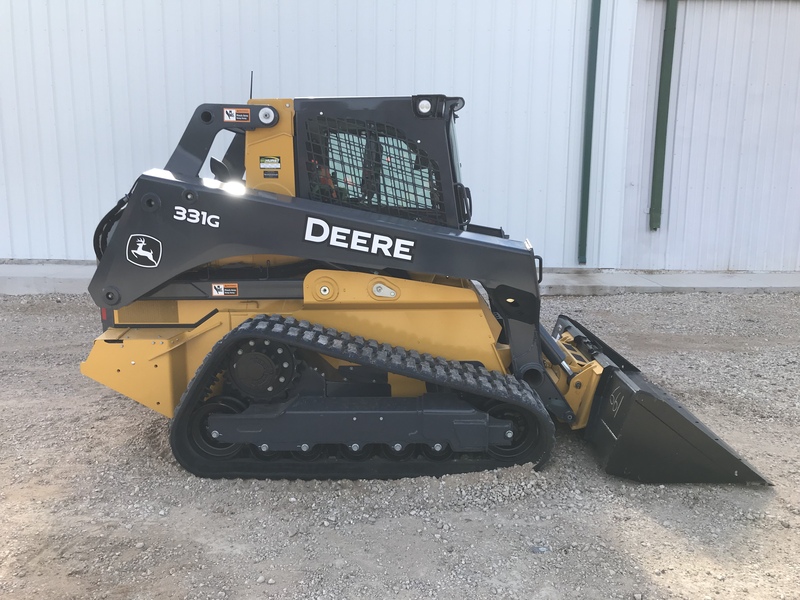 FT. BUCKET, "COUNTY RESTRICTIONS APPLY TO PRICE"
35G COMPACT EXCAVATOR, 300MM RUBBER TRACK, SUSPENSION SEAT/VINYL, 4 FT. 4 IN. (1.32M) STANDARD ARM, CANOPY, 18 IN. HEAVY DUTY 2.8 CU. 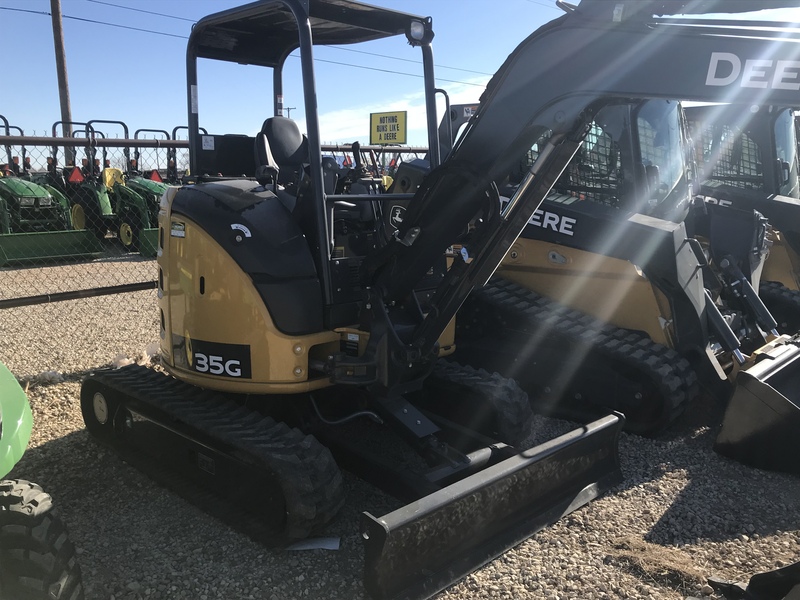 FT. BUCKET, "COUNTY RESTRICTIONS APPLY TO PRICE"
317G COMPACT TRACK LOADER, EH JOYSTICK CONTROLS, SINGLE SPEED SKID STEER, ENGINE TURBO 4TNV86CHT-MJS, NARROW ZIG-ZAG M BAR TRK 65 IN.,HYD CIR STD, 2 IN. SEAT BELT W/O SHLDR STRAP, MANUAL QUIK TATCH, CANOPY - ROPS/FOPS, MECHANICAL SUSPENSION SEAT, FLOORMAT W/FOOT PEG, KEYLESS START SEALED SWITCH, ATTACH PERFORMANCE PKG, 72 IN. 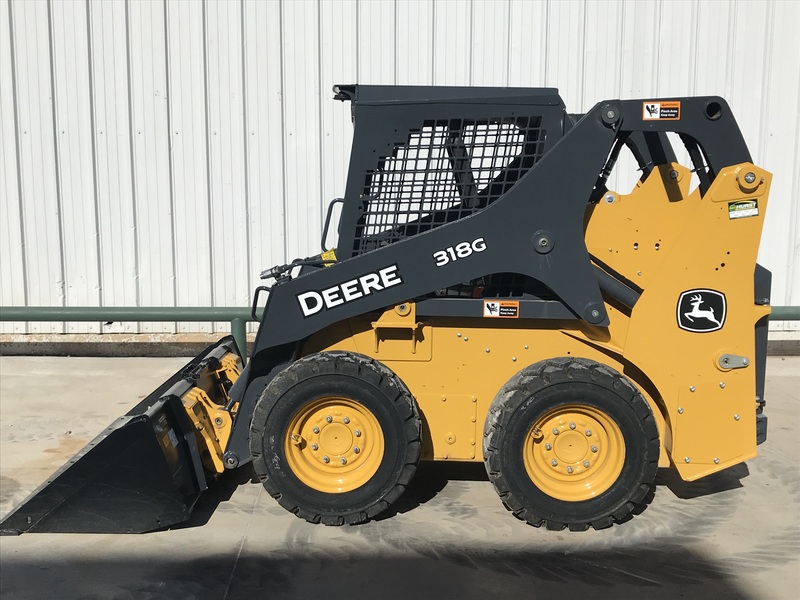 CONSTRUCTION BUCKET, "COUNTY RESTRICTIONS APPLY TO PRICE"
331G COMPACT TRACK LOADER, DLX CAB PKG W/ISO JS & HIFLO, ISO SWITCHABLE CTLS & JS PPK, FT4 ENGINE, LESS JDLINK, WIDE ZIG-ZAG MULTI BAR TRACKS, HIGH FLOW HYDRAULICS, RIDE CONTROL SELF LEVEL UP, 3 IN. SEAT BELT W/2 IN. SHOULDER STRAP, POWER QUICK TATCH, CAB W/HEAT, DEFROST & AIR, DLX LIGHTING PKG, AIR RIDE SEAT (CLOTH W/HEAT), REVERSING FAN DRIVE, REAR VIEW CAMERA, PRE CLEANER, AM/FM RADIO W/BLUETOOTH, LOUVER REAR GRILLE, HVY DUTY, FOOTREST W/FLOORMAT, 84 IN. 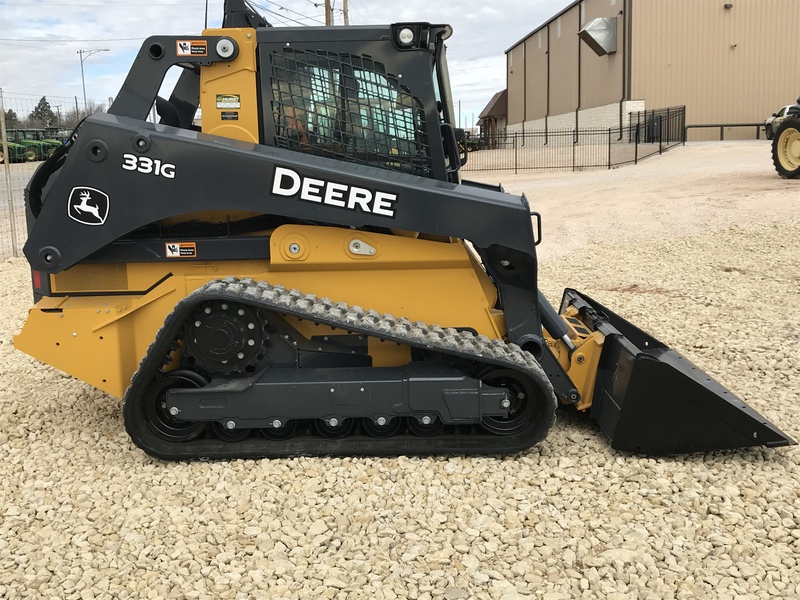 HD CONST W/EDGE, "COUNTY RESTRICTIONS APPLY TO PRICE"
333G COMPACT TRACK LOADER, DLX CAB PKG W/ISO JS & HIFLO, ISO SWITCHABLE CTLS & JS PPK, FT4 ENGINE, LESS JDLINK, WIDE ZIG-ZAG MULTI BAR TRACKS, HIGH FLOW HYDRAULICS, RIDE CONTROL SELF LEVEL UP, 3 IN. SEAT BELT W/2 IN. 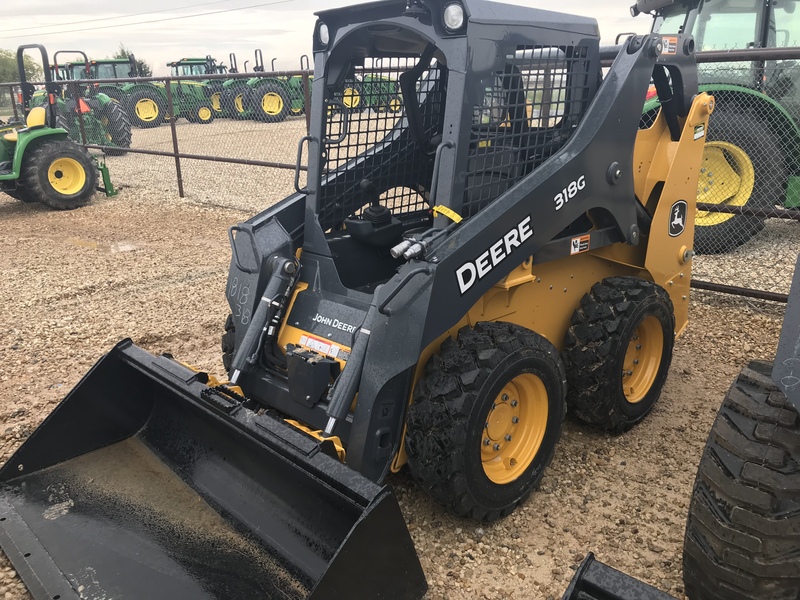 SHOULDER STRAP, POWER QUICK TATCH, CAB W/HEAT, DEFROST & AIR, DLX LIGHTING PKG, AIR RIDE SEAT (CLOTH W/HEAT), REVERSING FAN DRIVE, REAR VIEW CAMERA, PRE CLEANER, AM/FM RADIO W/BLUETOOTH, LOUVER REAR GRILLE, HVY DUTY, FOOTREST W/FLOORMAT, 84 IN. 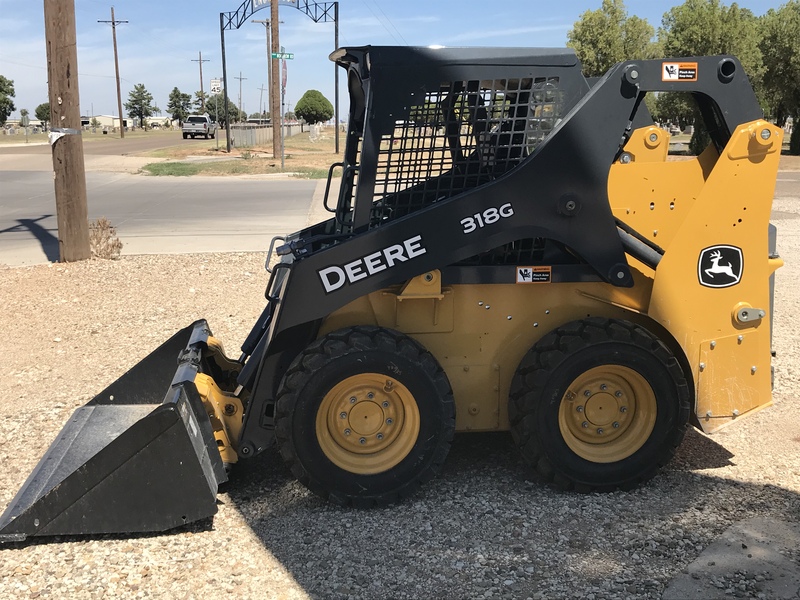 HD CONST W/EDGE, "COUNTY RESTRICTIONS APPLY TO PRICE"
318G SKID STEER LOADER, EH ISO JS CTRLS W/PERF PKG, SINGLE SPEED SKID STEER, ENGINE TURBO 4TNV86CHT, 10X16.5 10PR GALAXY HULK, HYDRAULIC CIR STD, 2 IN. SEAT BELT W/O SHLDR STRAP, MANUAL QUIK TATCH, CANOPY ROPS/FOPS, MECHANICAL SUSPENSION SEAT, KEYLESS START SEALED SWITCH, 72 IN. 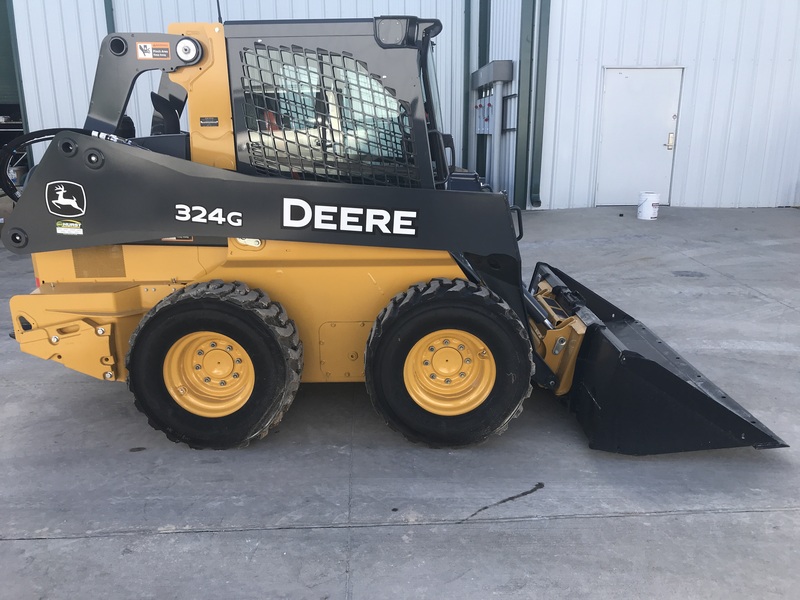 CONSTRUCTION BUCKET, "COUNTY RESTRICTIONS APPLY TO PRICE"
320G SKID STEER LOADER, ISO SWITCHABLE CTLS & JS PPK, TWO SPEED SKID STEER, ENGINE N/A 4TNV98C, LESS JDLINK, 12X16.5 12PR GALAXY HULK, STD HYDRAULICS, 2 IN. SEAT BELT W/O SHLDR STRAP, MANUAL QUIK TATCH, CANOPY - ROPS/FOPS, STD LIGHT PKG, MECHANICAL SUSPENSION SEAT, REVERSING FAN DRIVE, FOOTREST W/FLOORMAT, KEYLESS START, HD 78 IN. 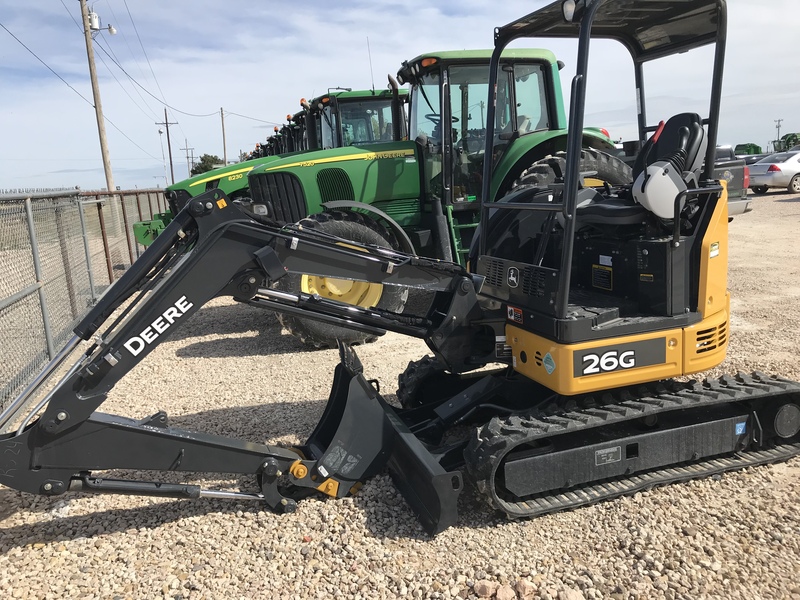 CONSTRUCTION BUCKET, "COUNTY RESTRICTIONS APPLY TO PRICE"
324G SKID STEER LOADER, CAB PKG WAC HT DEF EH ISO JS, EH JOYSTICK CONTROLS, TWO SPEED SKID STEER, ENGINE TURBO 4TNV98CT, LESS JDLINK, 12X16.5 10 PR TITAN HD2000-II, STD HYD & HYD SELF LEVELING, 3 IN SEAT BELT W/2 IN SHLDR STRAP, POWER QUICK TATCH, CAB W/HEAT, DEFROST & AIR, STD LIGHT PKG, AIR SUSPENSION SEAT, STD FAN DRIVE, PRE CLEANER, AM/FM RADIO W/BLUETOOTH, FOOTREST W/FLOORMAT, KEYLESS START, HD 78 IN CONSTRUCTION BUCKET, "COUNTY RESTRICTIONS APPLY TO PRICE"